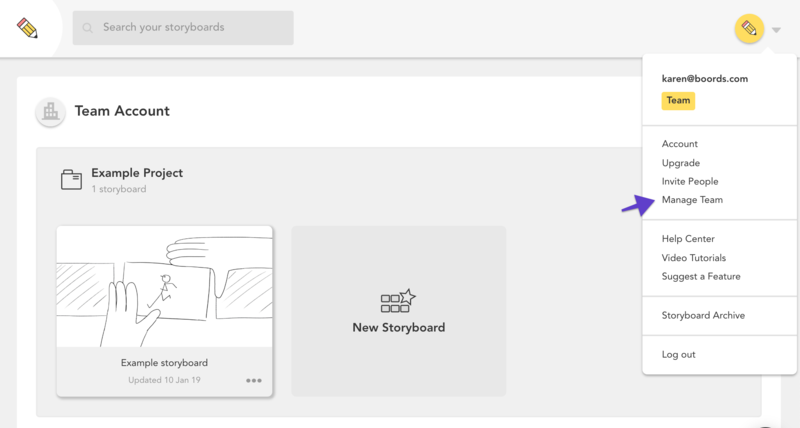 With a team trial account or a Team plan, you can invite your teammates to collaborate on storyboards while controlling project access. To learn more about the different team roles, check out this article. Access the Team settings section by selecting Manage Team on the Project Dashboard. Here, you'll be able to send invitations to your teammates to join your Boords team. For more information on getting your team up and running, take a quick look at the Getting Started section.